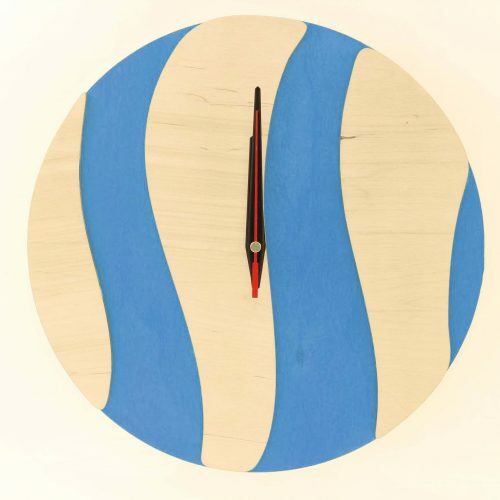 Clock mechanism: We use high-quality silent mechanisms. 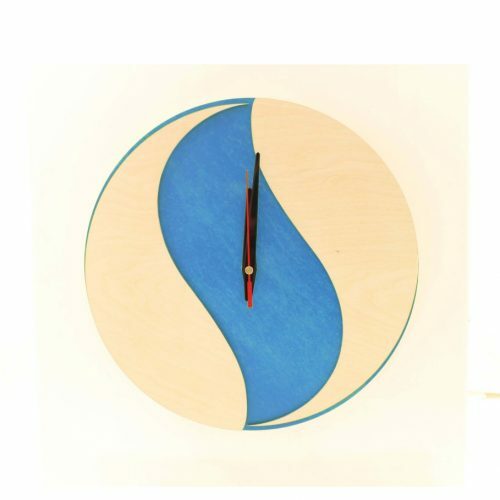 The manufacturer guarantees 10 years of trouble-free operation. 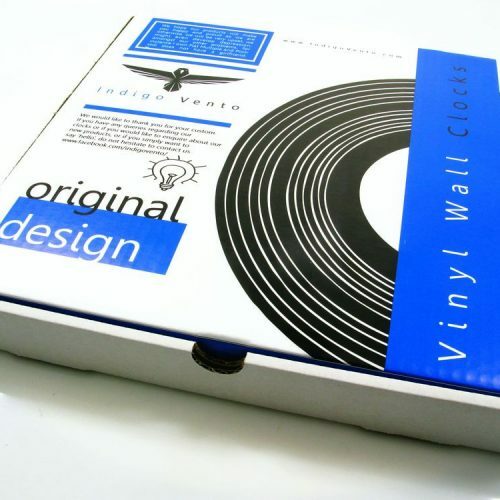 AA battery is not included due to postal regulations. 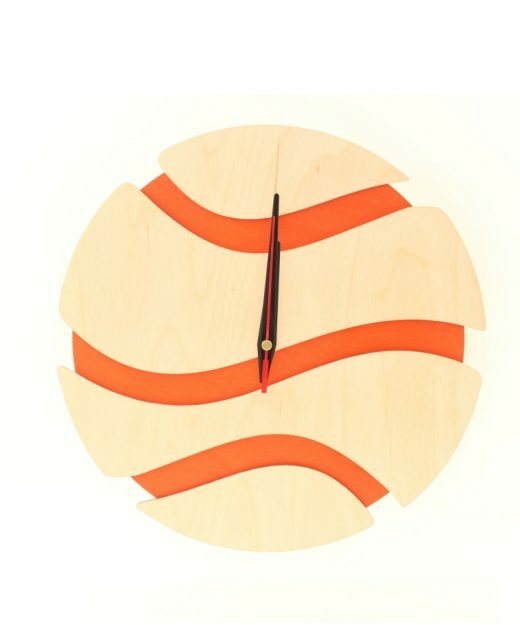 Delivery: Delivery time depends on the destination. 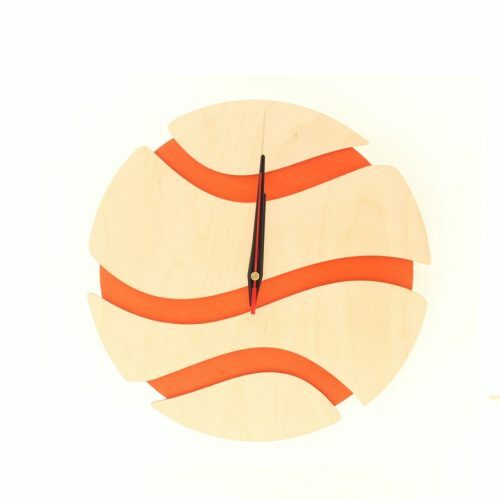 Europe approx. 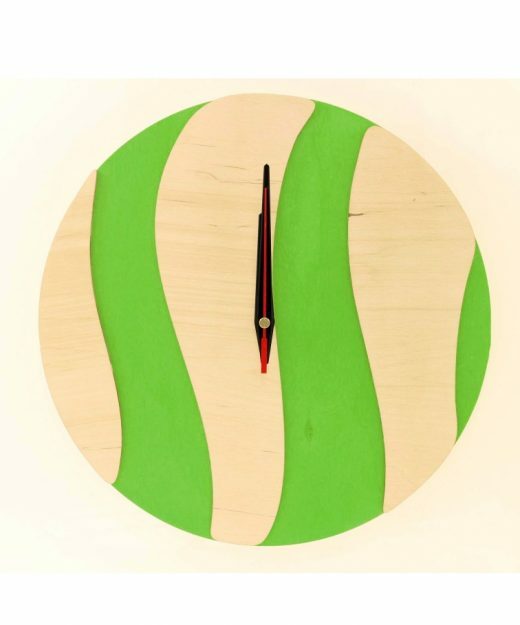 4-7 working days. Two the most popular symbols in one! 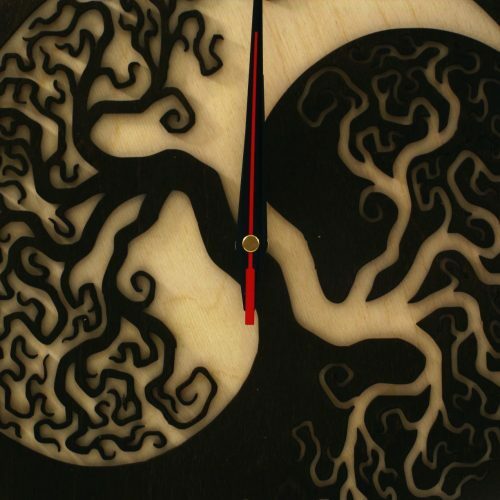 Tree of life (rooted in the Earth – reaching for the stars ) and Jing Jang. 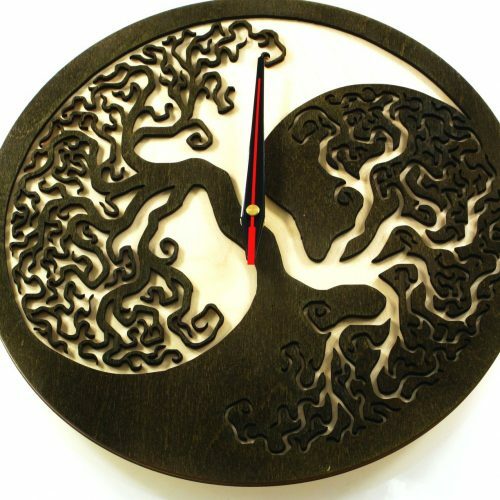 The ancient China symbol represent the belief that everything in the universe consists of two forces that are opposing but complementary. 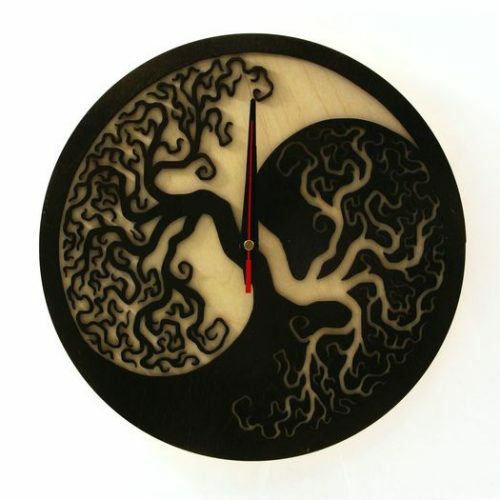 According to yin yang philosophy the universe, and everything in it, is both constant and cyclical. One force dominates and then it is replaced by the opposing force. 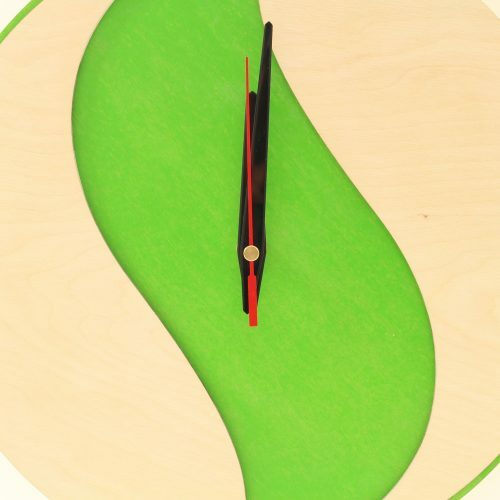 This activity continues constantly and repeats itself over time. 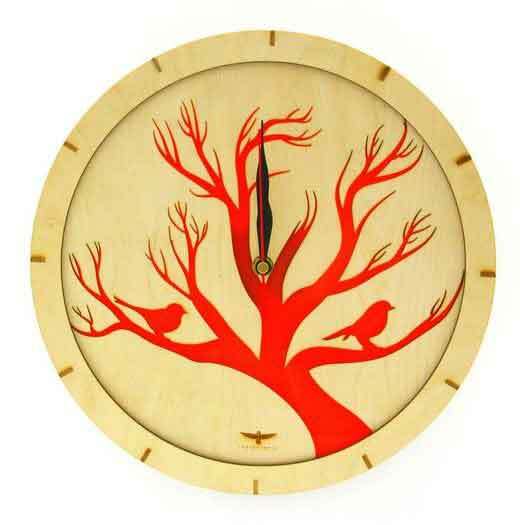 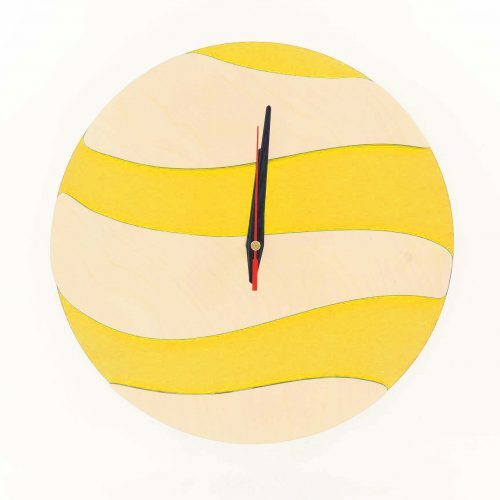 This amazing wooden clock is a great decoration specially for you. 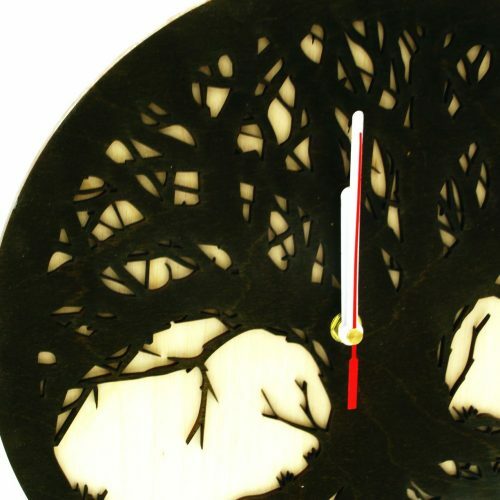 Having such an accessory on your wall means that you like sophisticated things in your interior. 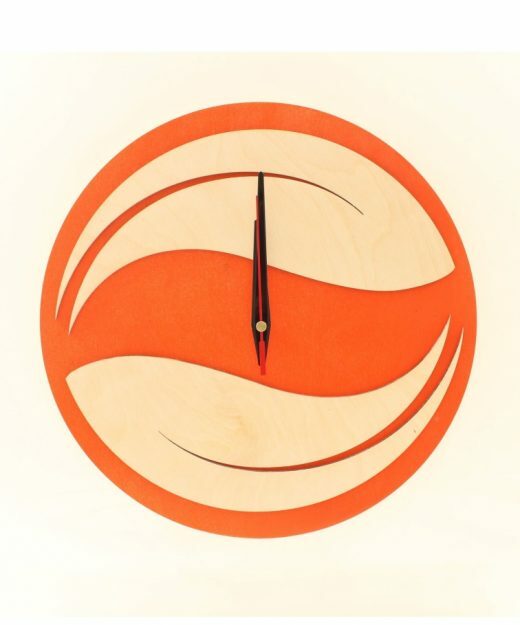 The clock has unique modern design and also build-in silent mechanism. 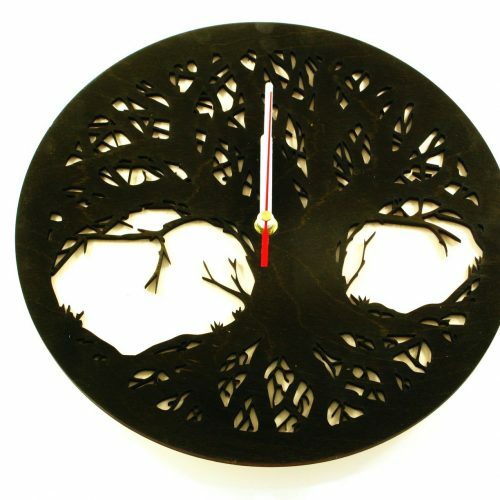 Made of natural materials, what is important for the environment. 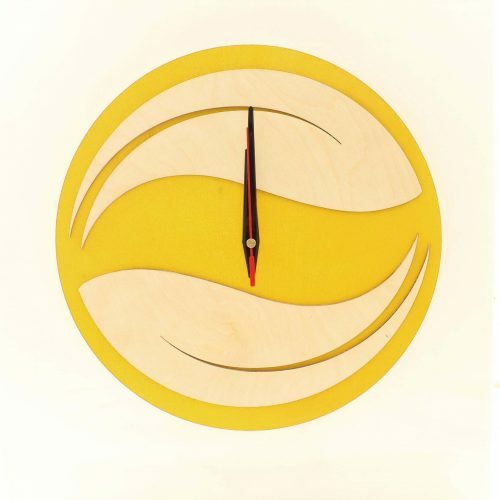 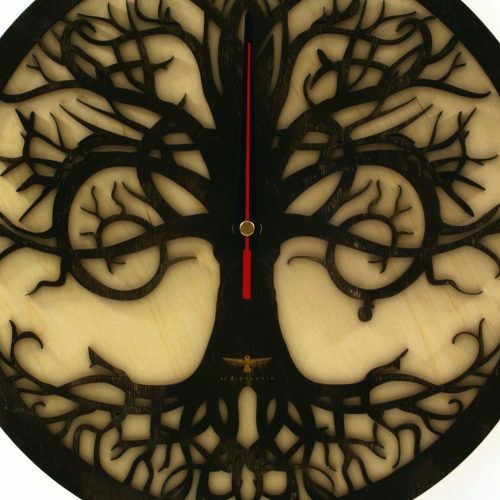 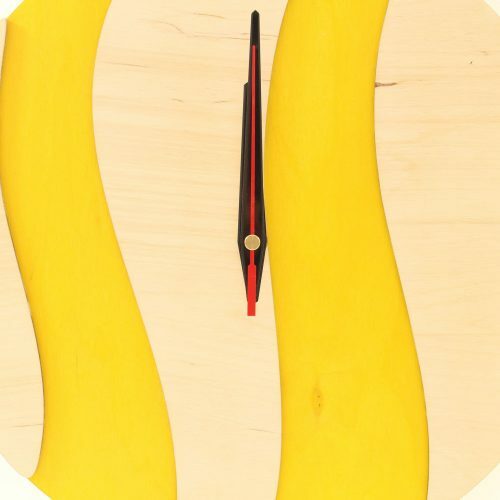 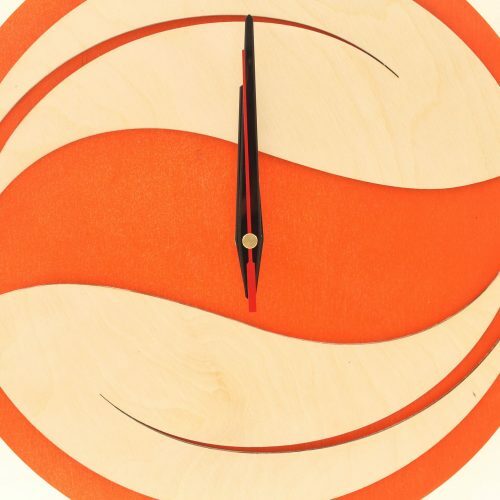 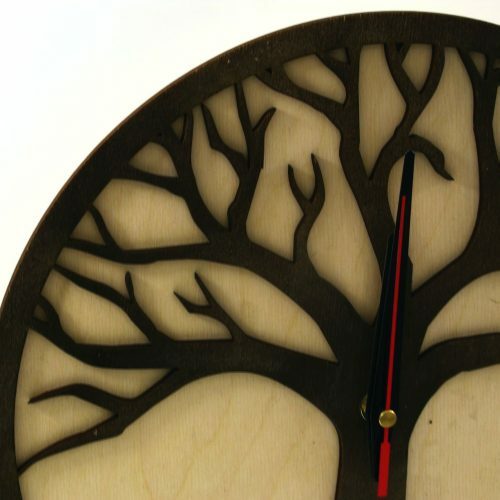 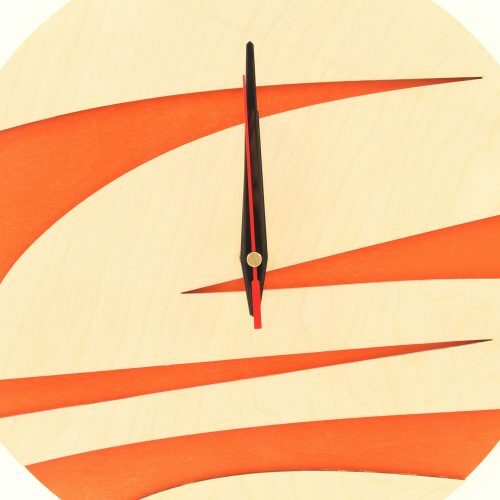 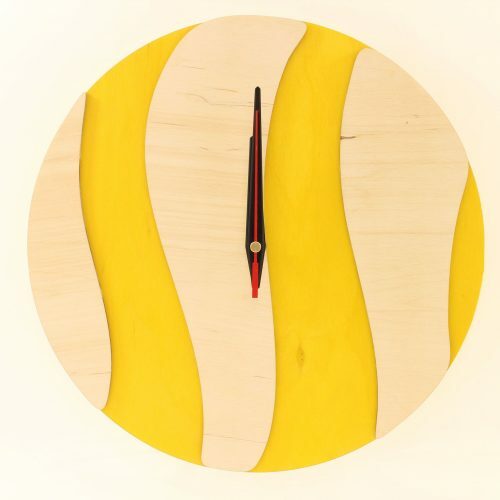 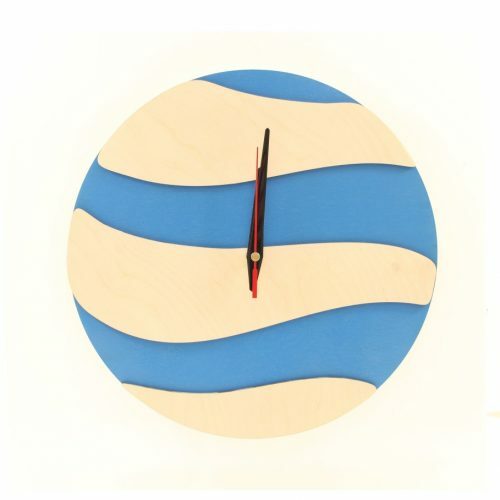 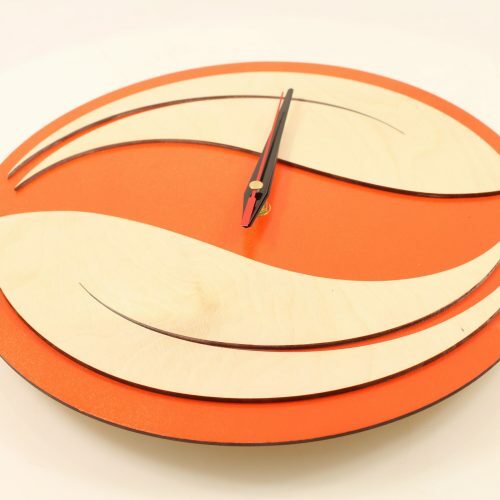 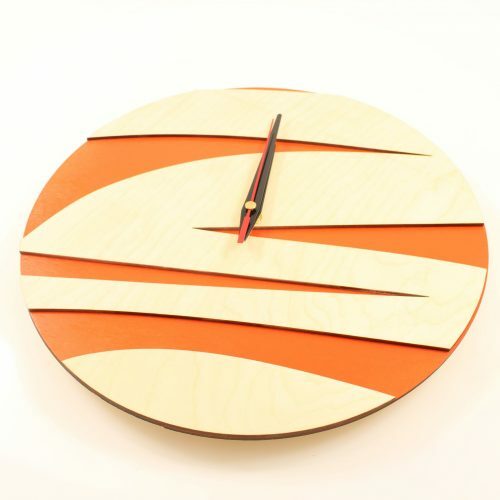 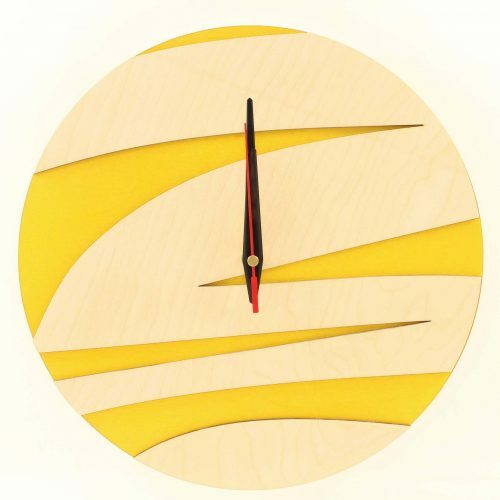 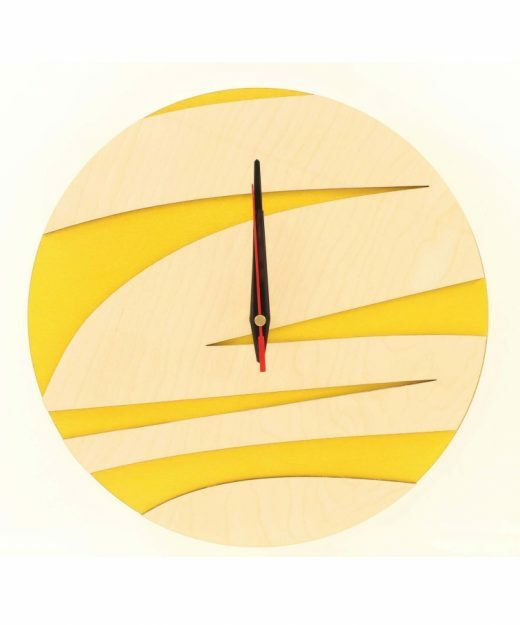 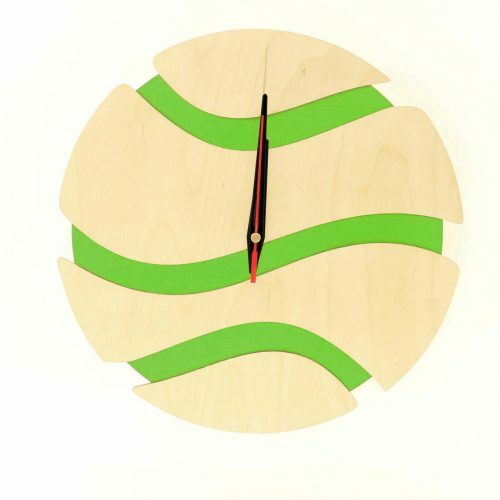 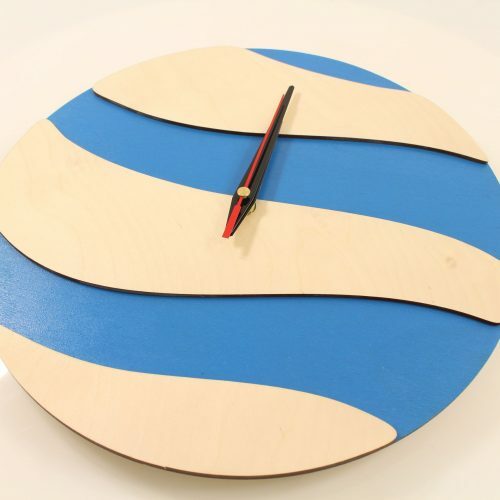 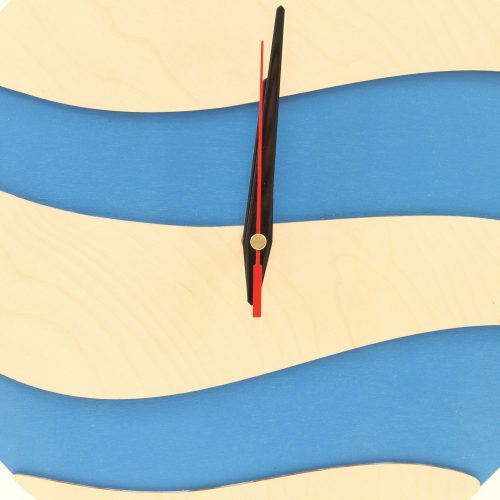 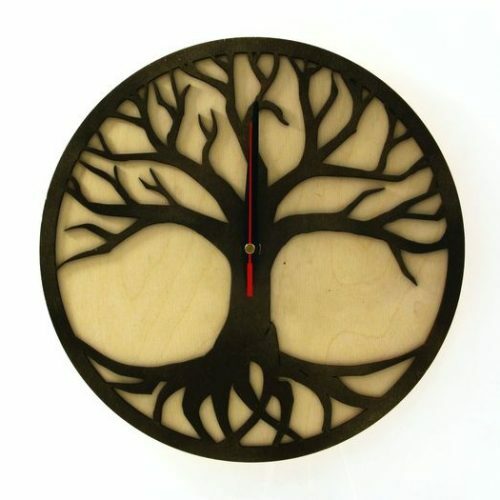 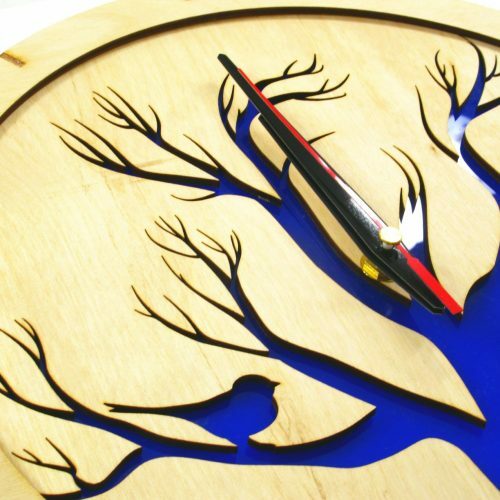 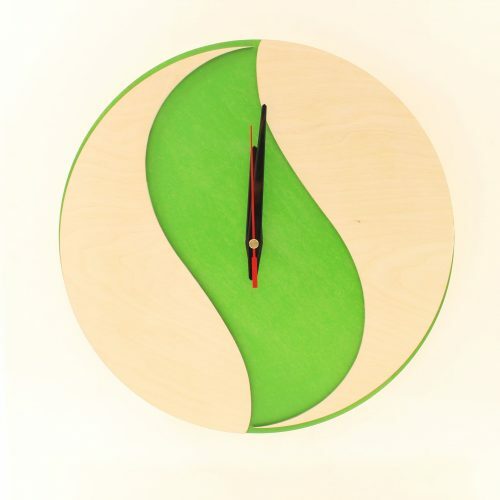 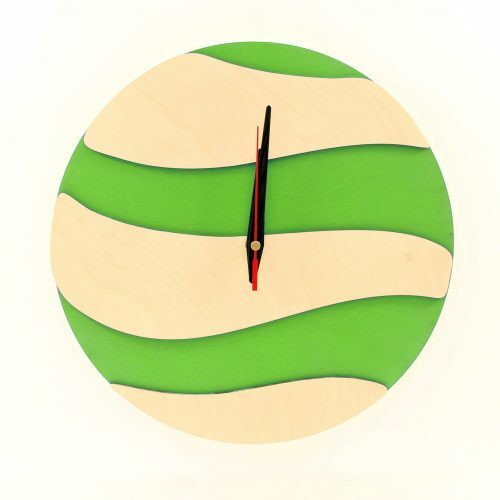 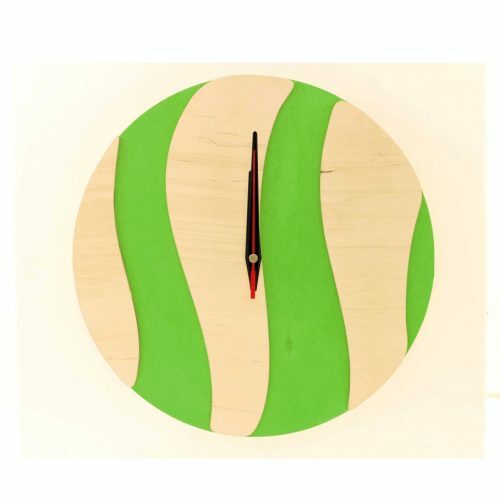 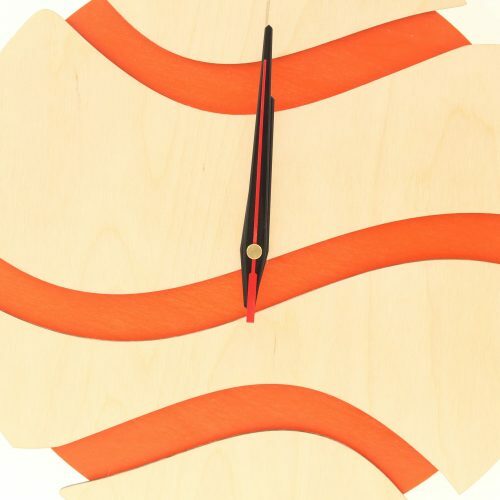 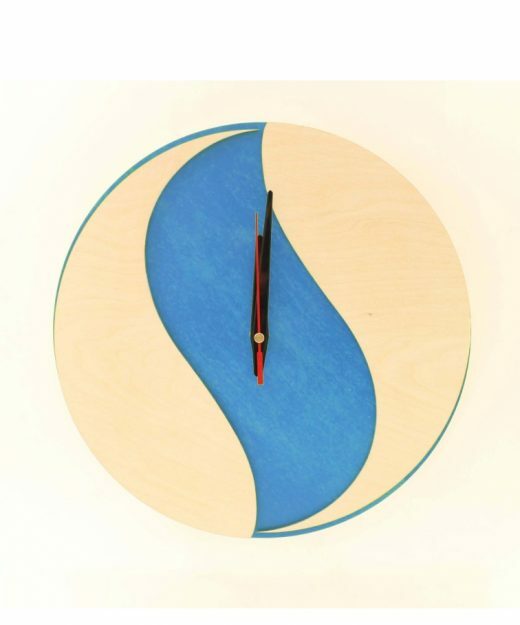 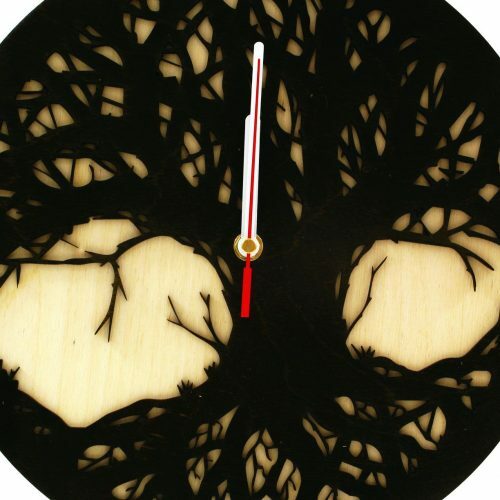 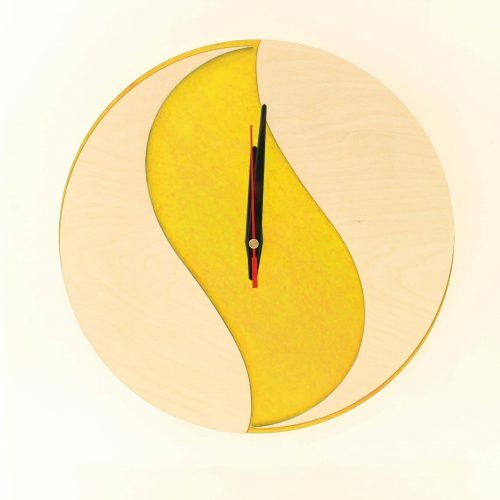 Our clock is carefully cut out with precision laser cutter machine, from selected quality wood. 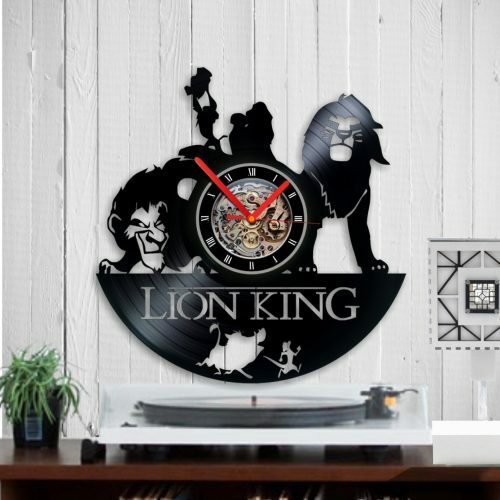 Great choice for a gift. 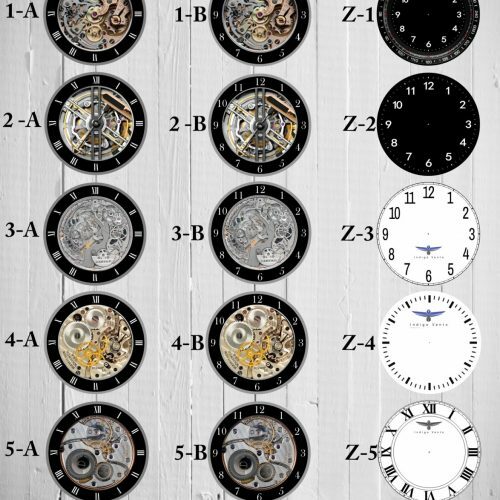 Mechanism: precision quartz mechanism – battery operated (1 x AA type) – battery not included. The mechanism is a sweep type which means its virtually silent, no ticking. 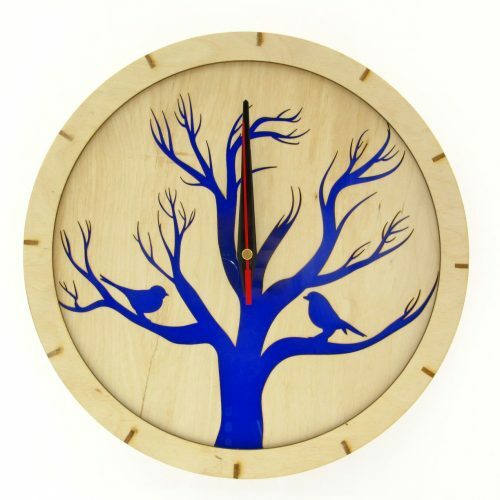 Comes complete with fixing bracket so it`s ready to hang on a screw or nail. Specification: All clocks are made of highest quality wood. We welcome you to Indigovento website. 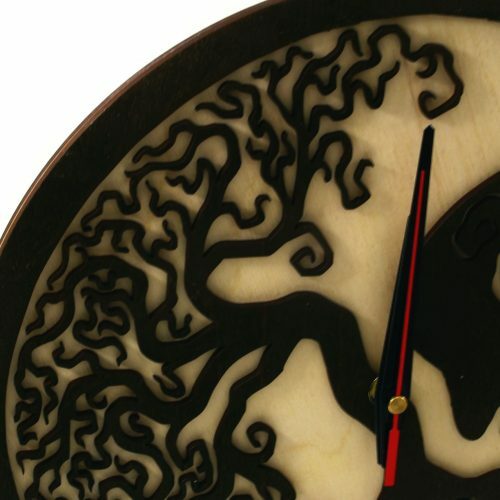 We are experts in carving, engraving, milling – generally processing raw materials such as wood, glass, acryl, leather, etc. 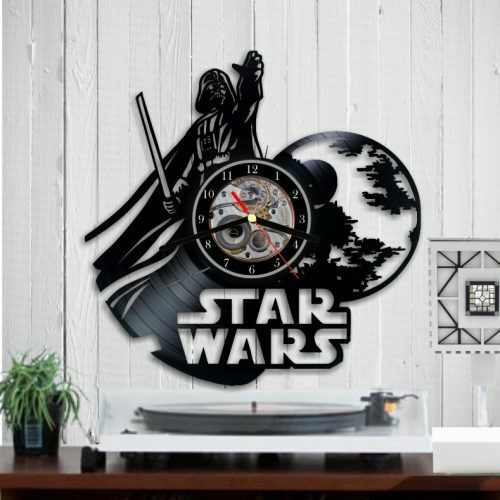 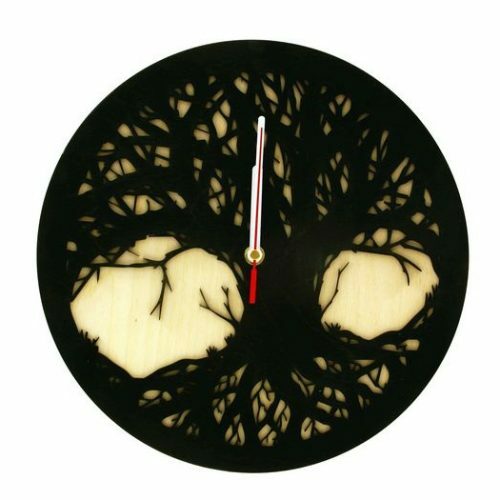 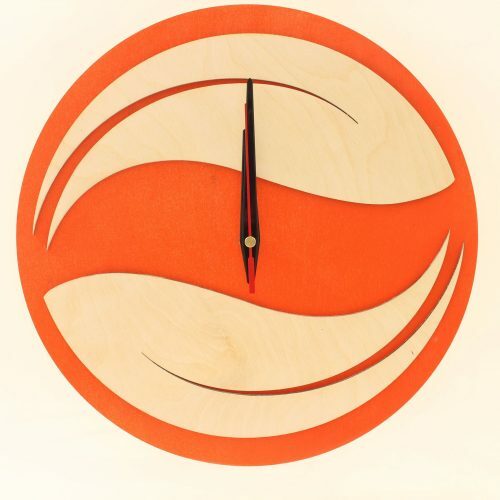 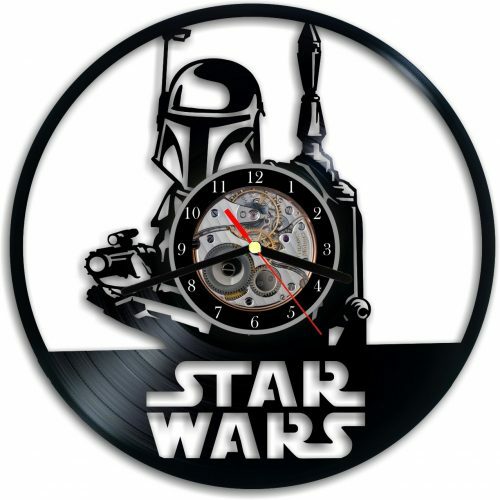 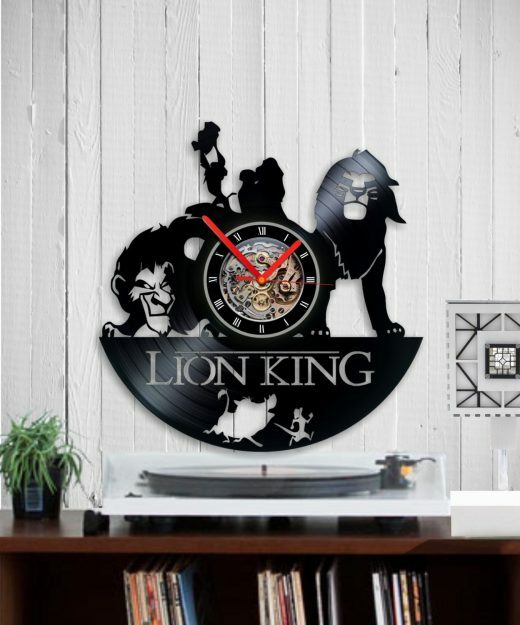 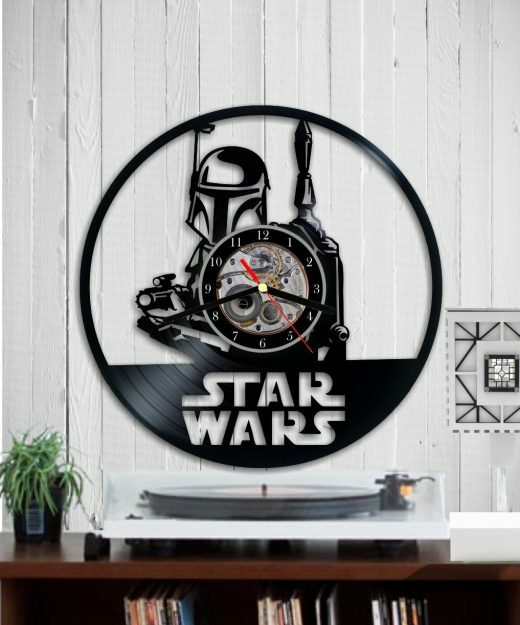 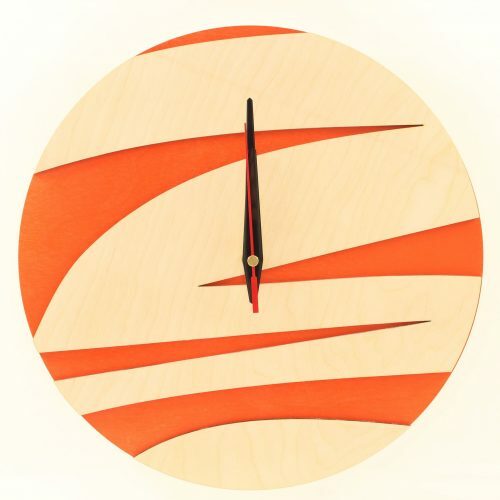 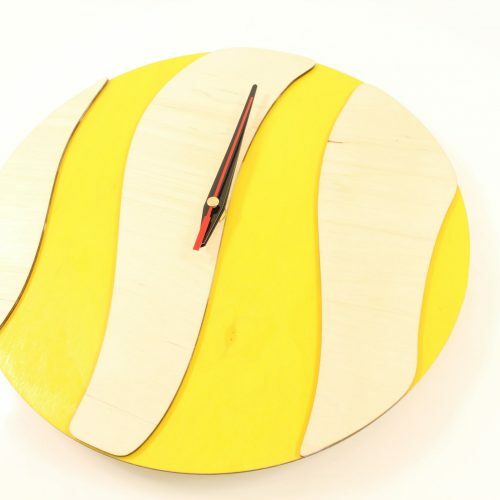 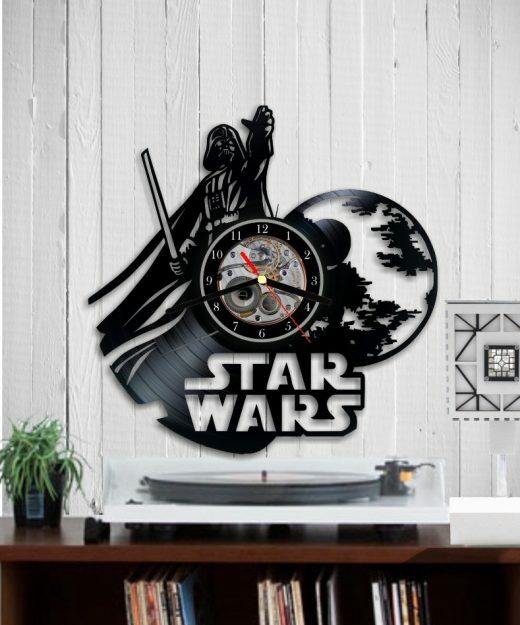 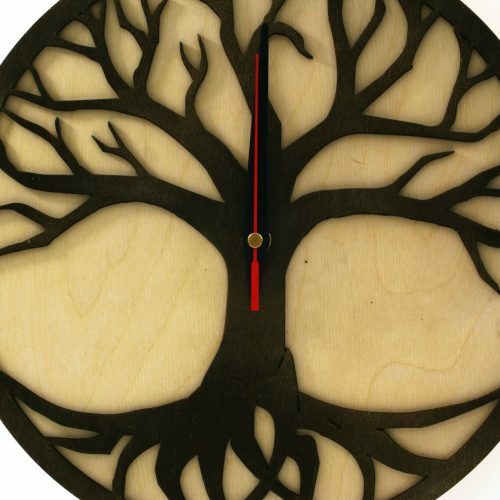 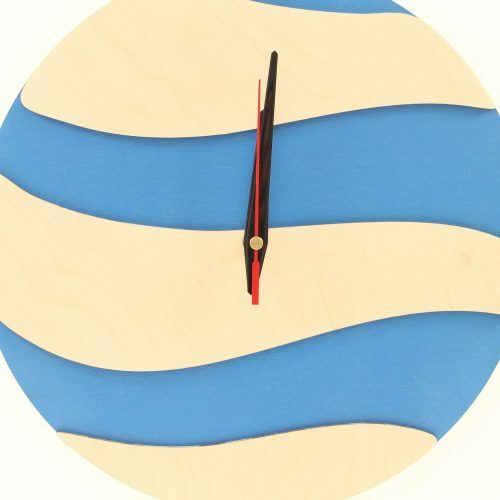 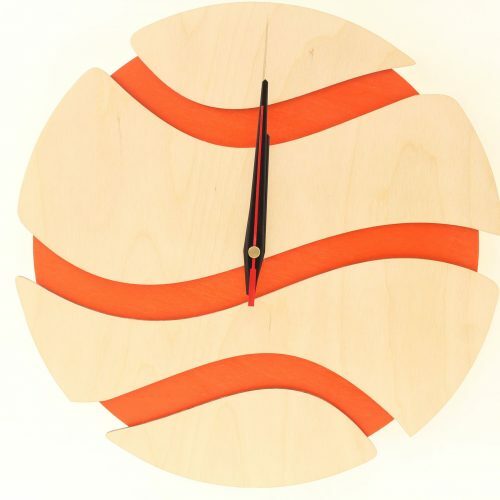 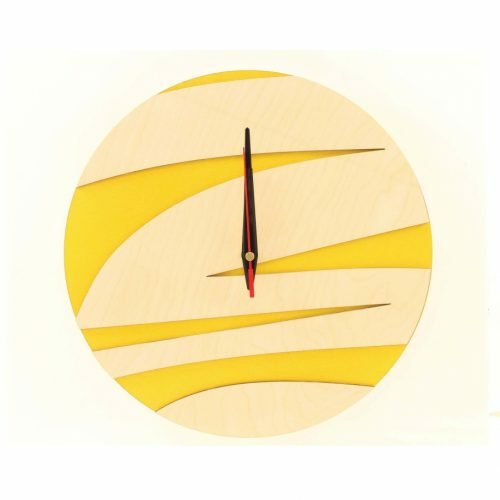 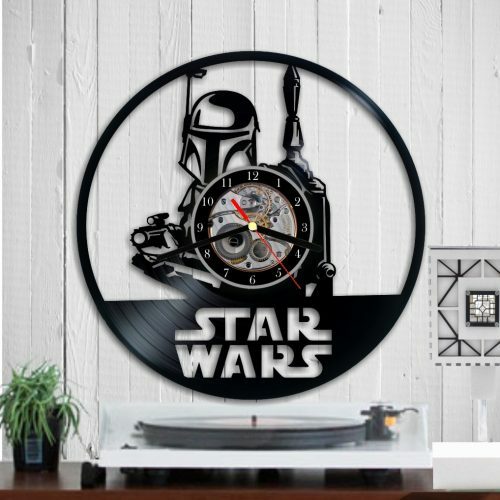 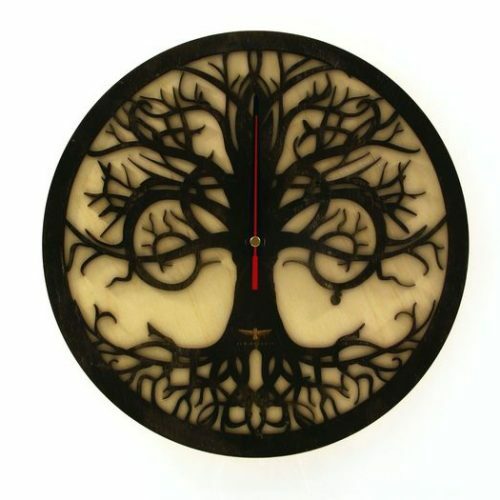 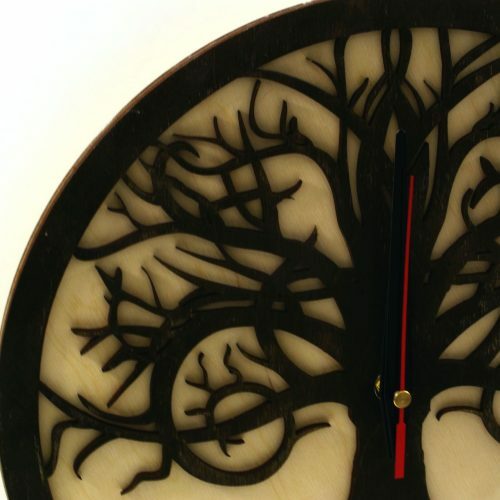 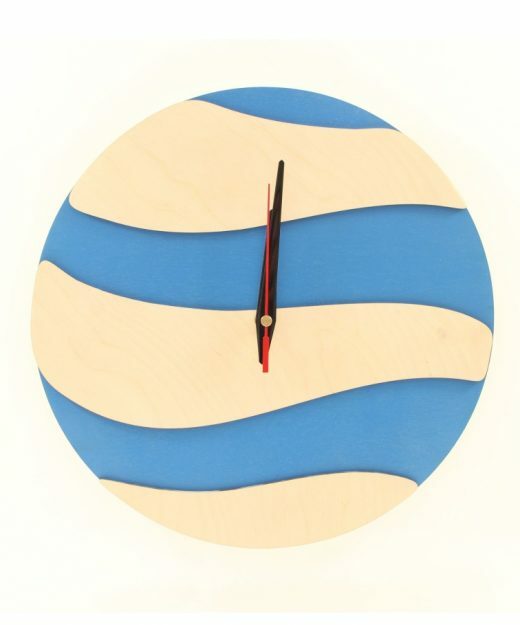 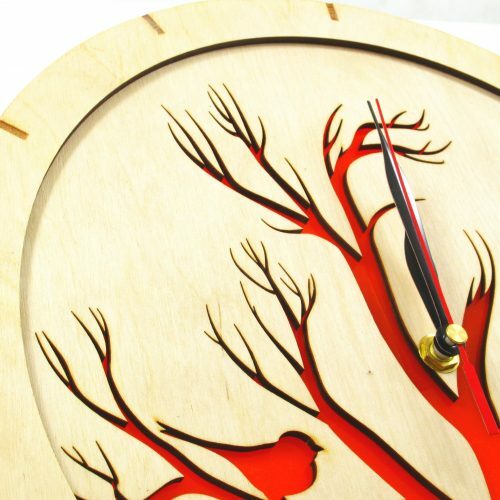 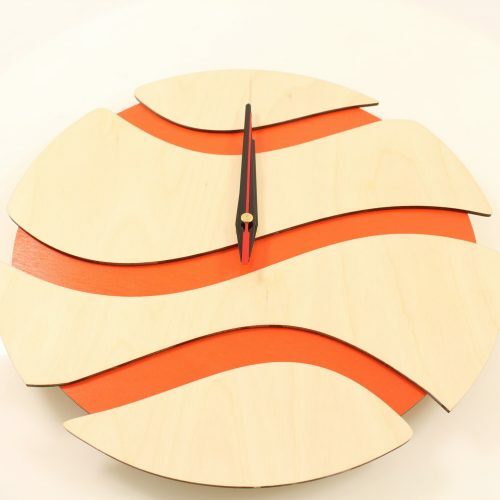 In our company we mainly create unique wooden items such as wooden clocks (there are also Vinyl clock in our offer), wooden lamps, wooden games – e.g. 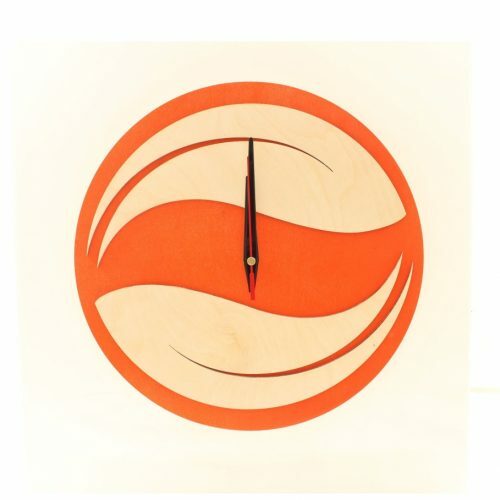 wooden scrabble, but also wooden jewellery such as wooden cufflinks. 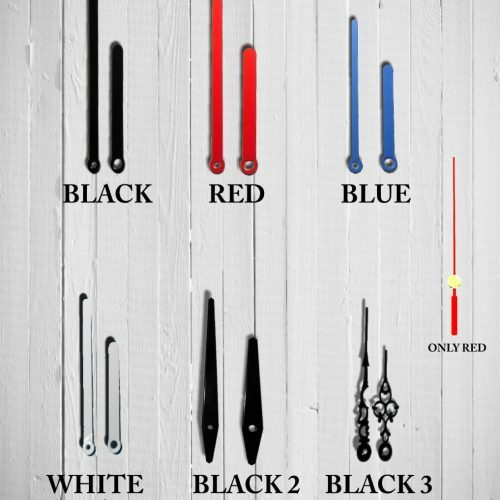 We also make equipment for escape rooms (wooden maze) and Montessori educational toys. 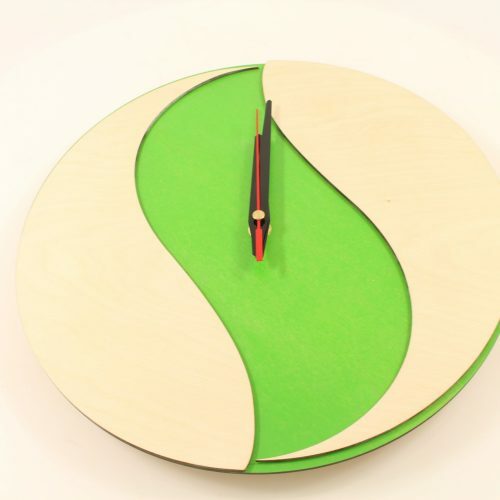 Our products are perfect for children’s rooms, living rooms or kitchens. 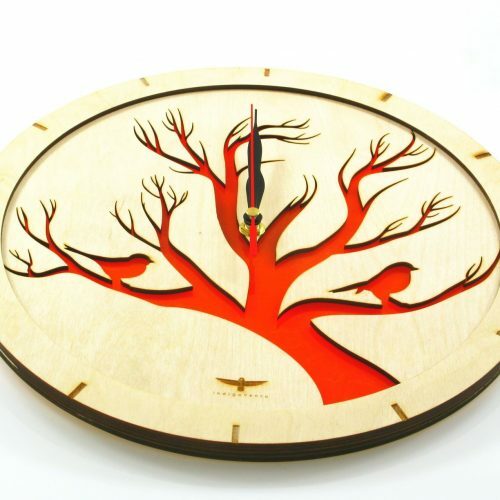 They can also be an ideal gift for relatives or friends that value uniqueness. 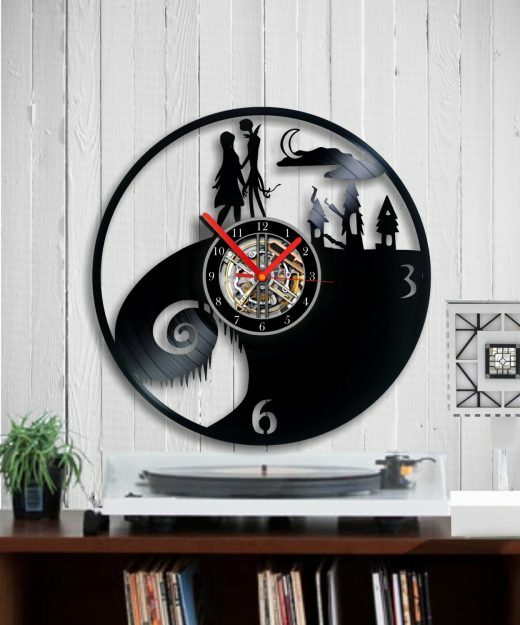 It does not matter whether it’s birthday, wedding, anniversary or other occasion, our clocks are always a perfect gift because there is all our heart put in the process of its making. 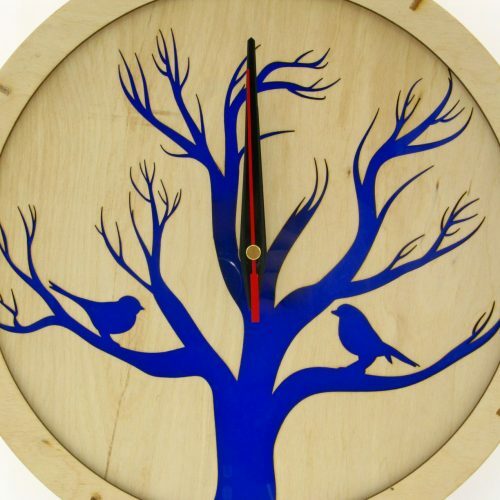 There is plenty to choose from, within categories such as clocks, lamps, wooden toys or jewellery. 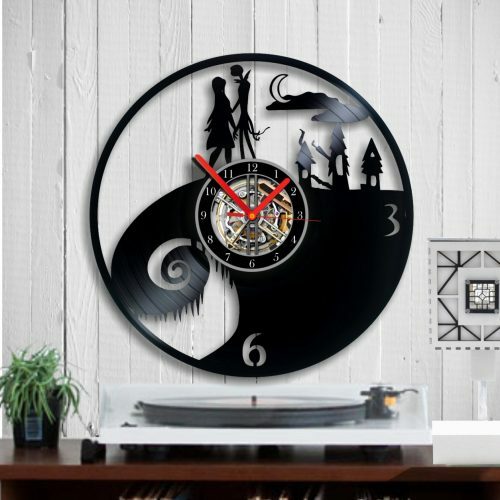 Anyone should find something of interest for themselves, but in case our offer does not contain what you seek, we gladly take new challenges and are open to create unique items, wall decorations, wooden puzzles or games especially for you. So if you are looking for equipment for an escape room, a wooden clock,vinyl clock , beautiful wooden bedside lamp or wooden jewellery be sure to contact us. 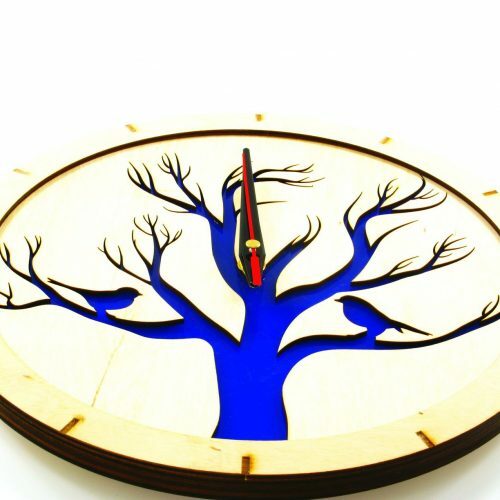 © INDIGOVENTO.COM All Rights Reserved.